With the Palette Table JH7 by &tradition, the Spanish designer Jaime Hayon tries to put static objects in motion. Hayon let himself be inspired by the kinetic sculptures of Alexander Calder. The different elements of the coffee table seem to circle around each other weightlessly, like the elements of a mobile, thereby creating the impression of dynamic movement. Due to the different sizes, shapes, and materials of the individual levels, a kind of collage is created, whose elements are connected by an architectural-style steel frame. 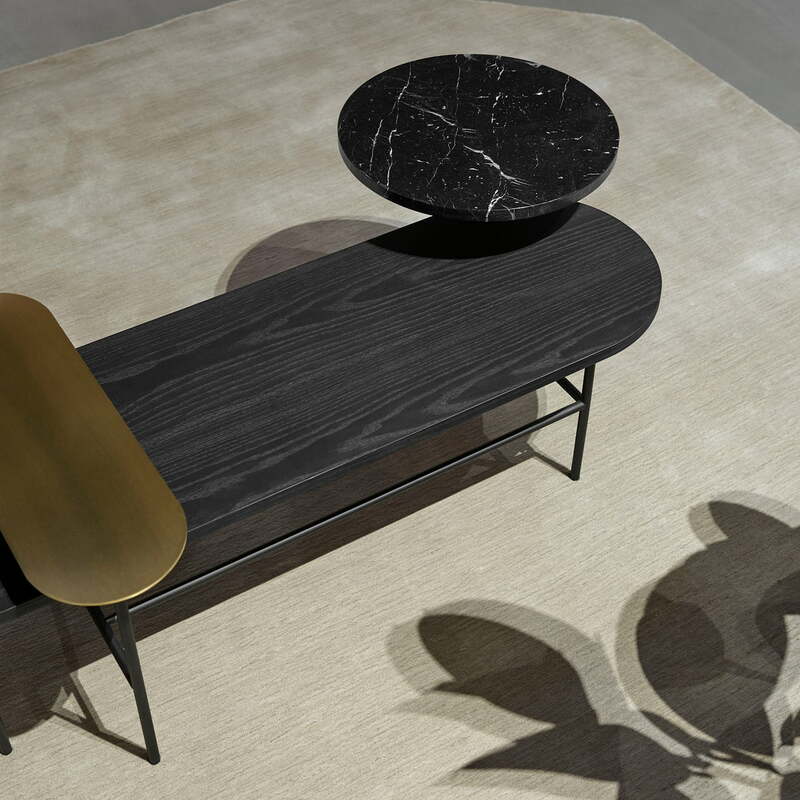 The combination of brass, black Marqina marble and black stained oak creates a refined charm with particular contrasts. The geometric shapes in various heights not only provide for an aesthetic component, but also create order and structure, so that books, candles, and other accessories can be placed and decorated on the different table tops. As part of the Palette Series by &tradition the multifaceted coffee tables are available in different variants. Individual image of the Palette Table - JH7. 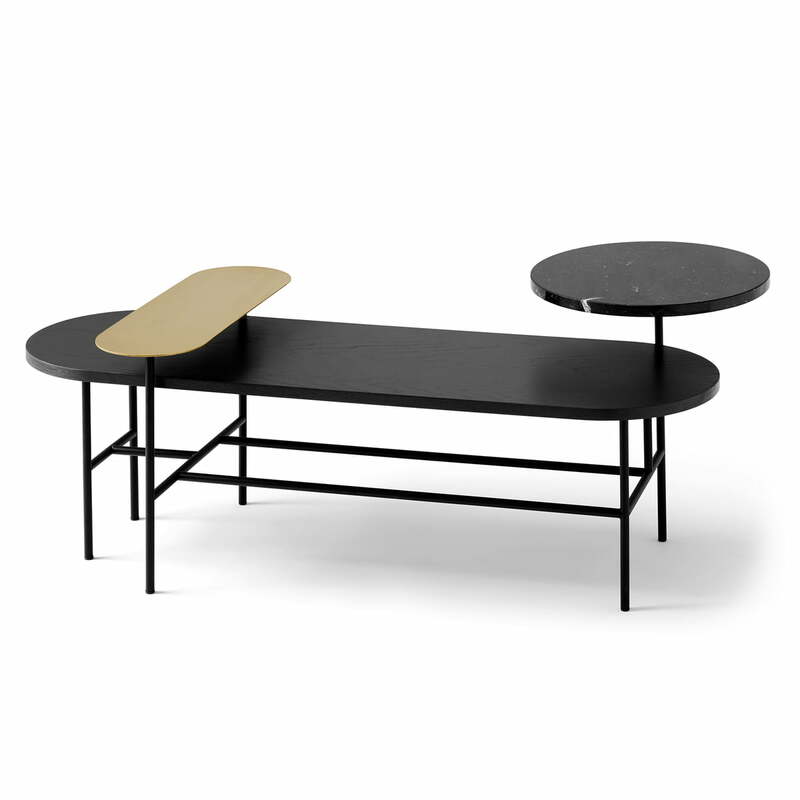 Modern coffee table with a mix of materials: while the tabletops are made of wood, brass, and marble, the frame is made of powder-coated steel. Ambience image of the Palette Table - JH7. The geometric shapes seem to circle around each other like in a mobile, producing an impression of lightness. Ambience image of the Palette Table - JH7. 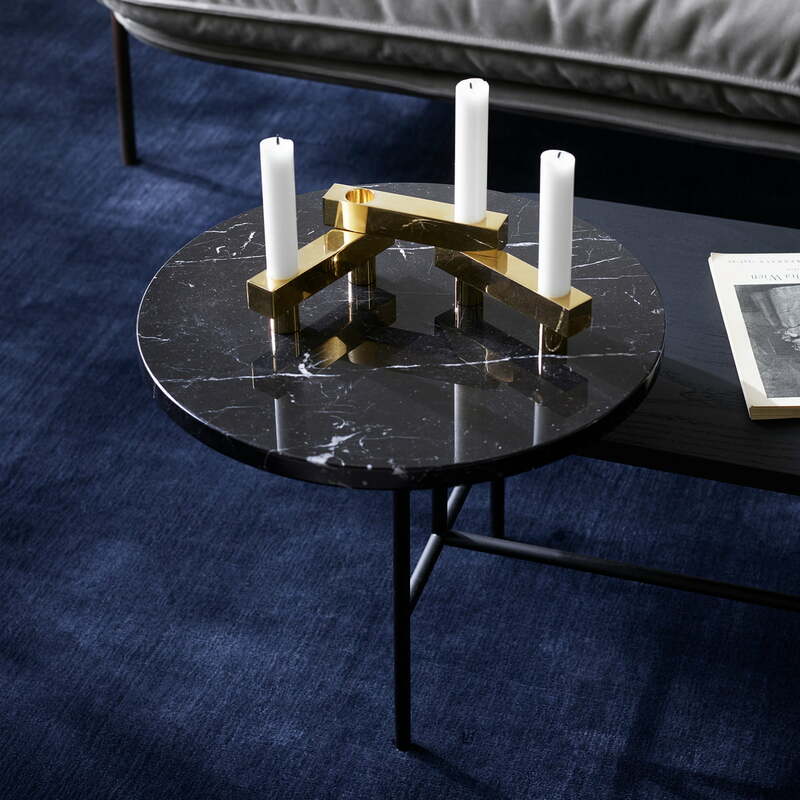 Marble, wood and brass complement each other wonderfully and create a modern atmosphere in any living room. 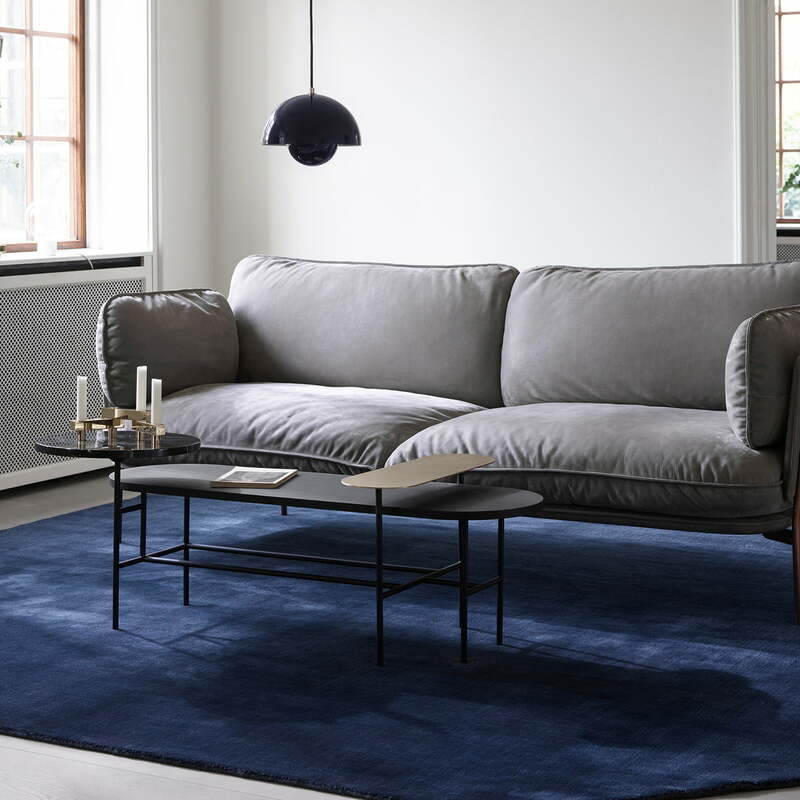 The Copenhagen SC14 by &Tradition looks particularly great next to the Cloud sofa in the living room. 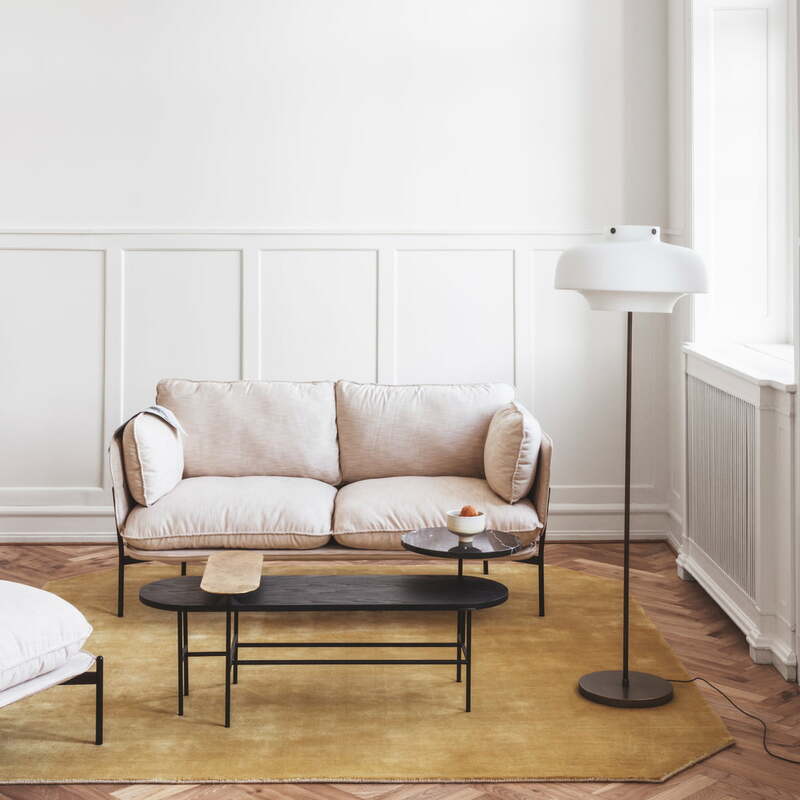 The lamp and sofa is optimally complemented by the coffee table table Palette JH7 by &Tradition.